Mr. Grayson works with a team of very experienced, sharp, street-smart investigators who collectively have over 50 years of experience working cases as ex-police officers and in doing defense investigation. Their thorough investigation work is an important part of our legal strategy to win your case. Mr. Grayson is very diligent about preparing his client’s cases for trial, even when it is unlikely that the case will actually go to trial. He carefully interviews his client, makes sure that he or she is well-informed, that the case is superbly investigated, that all discovery is provided, that witnesses are subpoenaed and will show up to court, that expert witnesses have been consulted and are prepared, and that he and his team have researched, written and filed any and all appropriate motions, including in criminal cases: Motion to Suppress Confession, Illegal search and illegal stop motions, 1538.5 Motion to Suppress Evidence, Motion to Sever Counts and/or Defendants, Motion to Withdraw Plea, Motion to Quash Warrant, Motion to Traverse Warrant, Pitchess motion, 995 Motion to Dismiss, 402 pretrial motion, etc. Mr. Grayson speaks clearly and articulately, and is outstanding in all phases of the trial: in opening statement, at direct and cross-examination, in making and refuting objections, introducing evidence and exhibits, arguing for his own motions or against the prosecution’s motions, and in presenting an aggressive, animated and demonstrative closing statement. Mr. Grayson is an aggressive, savvy, well-prepared cross-examiner who gets what he wants out of witnesses. He exposes lying witnesses, falsified evidence, and exaggerated charges, so that the judge and jury see them for what they are. By way of example, over in Compton recently, a judge described Mr. Grayson’s cross-examination as “exceptional” and called him a “phenomenal lawyer.” The reason Mr. Grayson is such a great cross-examiner is because he devotes hours and hours to studying your case, reads and re-reads reports over and over again, and pays great attention to details. 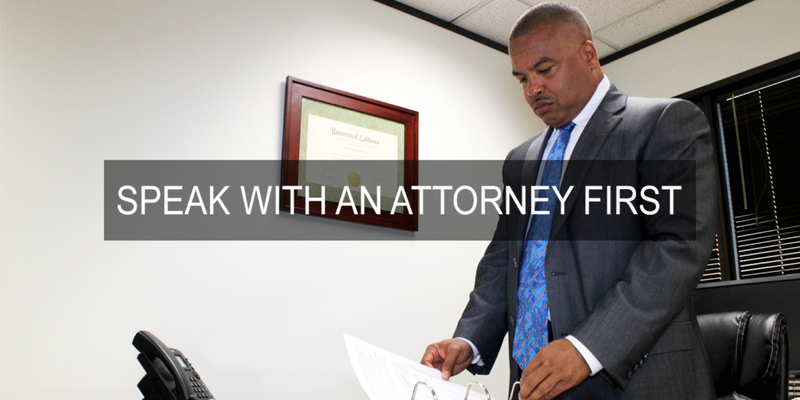 An attorney must know the facts of his or her case inside-out if they want to be an effective cross-examiner, and that’s exactly what Mr. Grayson does. Grayson: So you will lie in all of the situations that you just stated: (1) when it will help you, (2) when you’re in trouble, (3) when it’s inconvenient for you. Right? Grayson: So you’re a liar?! Grayson: No! I’m asking you! You just said that you lie to the police, you lie when you’re in trouble… What do liars do? Grayson: So you’re a liar? In addition to being a hard-hitting, tenacious litigator, Mr. Grayson has a reputation for being a very skilled negotiator. This is very important because not every case goes to trial. In fact, most cases are settled or “plead out.” Mr. Grayson has negotiated thousands of settlements in which the vast majority of his clients and their families have been very satisfied with the results. He will always get you the best deal if that is the only way out of a difficult case. He has been able to obtain alternative sentences, including jail instead of prison, probation instead of jail, community service instead of time in custody, community service instead of fines, and in some cases, no probation at all or a sentence where community service or classes are taken instead of any conviction whatsoever. In some cases, too, he has been able to get his clients infractions, which do not count as a criminal conviction at all.